medi proves that international fashion trends and compression go together like haute and couture! 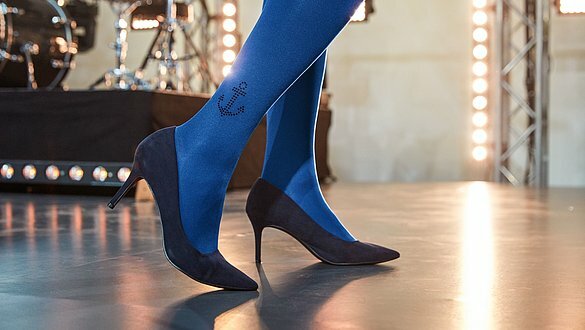 With ravishing colours and attractive Swarovski® crystals*, medi's compression stockings combine well-being with fashion – a "touch of luxury" every day for your legs! mediven compression stockings are medical devices with a tremendous look. They are available in many colours and variants that show just how versatile and attractive compression can be. Because women love wearing beautiful clothes. They flatter the ego and motivate the ladies to wear the stockings every day. Discover the new mediven® colour variety now! medi always has its finger on the pulse – as proven for example by the co-operation with the German fashion designer Anne Gorke. 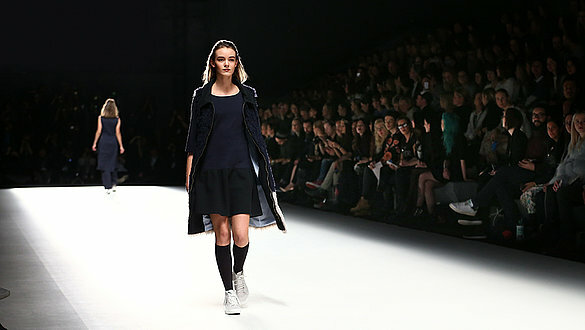 She fitted her models out with mediven elegance at her show at the 2016 Berlin Fashion Week. The fashion design graduate and vein patient Fabienne Fischer combines functional materials and unusual designs to achieve futuristic clothes. She also used compression stockings from medi in her thesis featuring the collection ‘We are the children of the sky’. 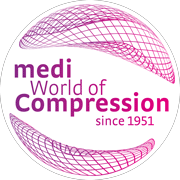 medi's World of Compression stands for over 65 years' competence in the field of compression. medi satisfies thereby the highest demands on quality, innovation and design and is continually reinventing beauty in compression.